Richmond (5-4) captured its 400th win all-time at the Robins Center and improved to 5-0 at home this year, while South Alabama fell to 2-6 on the year. Allen put together his best performance of the season, scoring 17 points and grabbing nine rebounds. He shot 6-of-11 from the field and a perfect 4-of-4 from the free throw line while dishing two assists and making a block and steal. His three-pointer with 1:20 left was the knockout punch in the Spiders victory. Senior Kendall Anthony scored a game-high 18 points, his team-best seventh double-digit performance this year. He also had three assists, three rebounds and a steal. He passed Justin Harper and moved into 11th place all-time with 1,471 career points. ShawnDre’ Jones tallied double digits for the second consecutive game, scoring 14 with two assists. T.J. Cline had 10 points and eight rebounds in his second straight start. He also had a career-high three steals. No player from South Alabama scored in double figures as Ken Williams, Dionte Ferguson and Taishaun Johnson all had nine points. The Spiders continued to win the turnover battle with a 14-10 edge on Thursday, converting those 14 miscues in 15 points. ur was particularly effective on the break in the first half, outpacing South Alabama 9-4 in fast break points. Richmond’s defense perplexed the Jaguars early on, forcing an 0-for-5 start with two turnovers before South Alabama scored its first basket. A three-pointer from Anthony punctuated a 10-0 run that put Richmond up 14-4 with 9:01 left. However, USA chipped away at its Richmond lead with improved shooting and the margin was cut to just 28-25 at halftime. The Spiders held a slight lead throughout the second half until a Williams three-pointer and Abdul Lewis jumped put the Jaguars up by two, however briefly. A determined Allen hit a layup in the paint and then made his way to the foul line and the Spiders never looked back, exciting the crowd in the final minutes of the 65-54 victory. Richmond travels to New York City for a bout with Pepperdine as part of the Gotham Classic in Madison Square Garden on Saturday night at 7 p.m. on ESPN3. 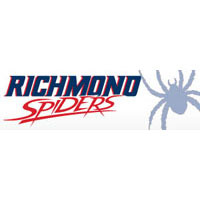 It will be Richmond’s first trip to MSG since 2003 when the Spiders played Manhattan in the World’s Most Famous Arena.